OCTOBER 4 The Seldovia Arts Council’ s season finale, PATRICK BALL AND “THE LEGENDS OF THE CELTIC HARP” will be true magic!!! 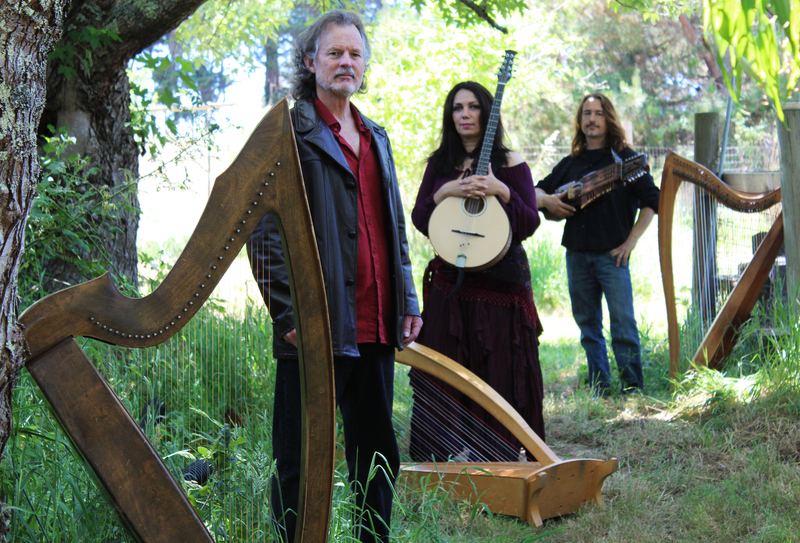 “LEGENDS OF THE CELTIC HARP” is a musical journey into the heart of a legendary instrument. Three of the premier celtic harpers in the world, Patrick Ball, Lisa Lynne Franco, and Aryeh Frankfurter, have created a dramatic ensemble that takes you deep into the myths, magic and fabled history of this most captivating instrument.Patrick Ball is one of the premier Celtic harp players in the world and a captivating spoken word artist. He has recorded nine instrumental and three spoken word albums which have sold well over one-half million copies internationally and won national awards in both the music and spoken word categories. Along with Celtic Harp and Story, his beguiling blend of music and spoken word concerts, Patrick has written and currently performs two acclaimed solo musical theater pieces: O’Carolan’s Farewell to Music,which brings to the stage the legendary life, the turbulent times and the glorious music of Ireland’s most celebrated and beloved musician, Turlough O’Carolan, and The Fine Beauty of the Island, a musical journey to Ireland’s legendary Blasket Islands in search of a deeply haunting tune and the vanished islanders who played it. Patrick also presents an ensemble performance, The Flame of Love, a spoken word and Early Music retelling of the greatest of medieval legends, The Romance of Tristan and Iseult. What a fantastic outreach to the students at Susan B. English School and then the most magical show. More pictures to come, but thanks to all who helped make this such a special event. It was indescribably beautiful!